going strong! We have had repairs under $500 in that timeframe. said that they often see Sub-Zeros work well at age 30! we have had such a good experience with Sub-Zero. Some appliances last longer than others, but it’s well established that Sub-Zero refrigeration systems have the longevity others lack. If you’re shopping for a new refrigerator system for your home or office, you’ll want a product that works best for your lifestyle – and your budget. Take the number of people in your household and multiply by 5. That number is the number of refrigerator cubic feet you require. If you are a bulk-buyer, multiply by 6. If you go shopping every day for fresh produce, multiply that number by 4. The LG LFX28968ST has 27 cubic-foot capacity. It has a chest-style freezer beneath the refrigerator space, which accounts for roughly a third of the total capacity. The space-saving ice-maker is a plus. It’s ENERGY STAR® rated and costs about $60/ per year to run, which is well below average. The KitchenAid KRSF505ESS has 24 cubic-foot capacity with customizable temperature settings for each section. Despite being one of the largest side-by-side refrigerators, it is very energy-efficient. It costs less than $3/cubic ft. to operate, for a total of $73/year. The Midea WHS-87LB1 has a 2.4 cubic-foot capacity. There’s lots of room in the door for cartons, bottles and other large items. It comes with a mini-freezer to keep a few frozen treats on hand. This mini-fridge also accommodates the space it occupies with a reversible door so it can be placed at either end of your desk. Do you want some whistles and bells? 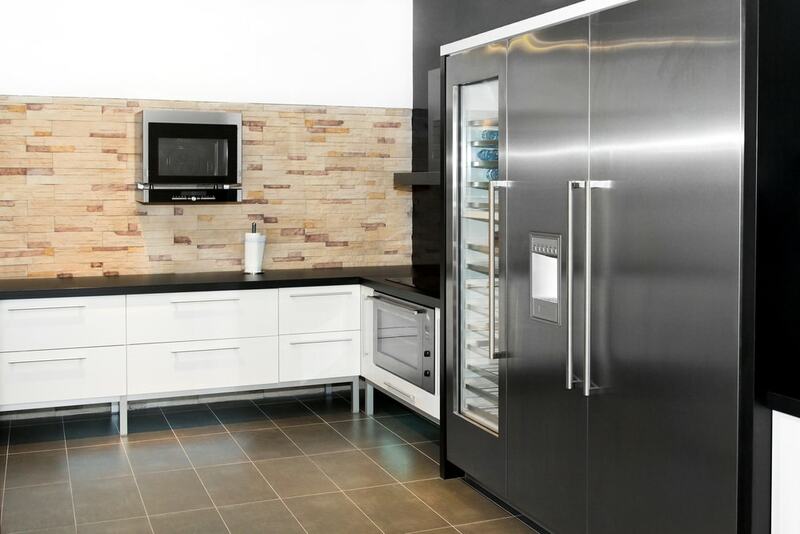 Food & Wine’s Ultimate Refrigerator Buying Guide says there may soon be a new name for Great-Grandpa’s “icebox.” Consider “home information system.” Some fridges will have LCD screens so you can watch cooking shows while you’re cooking. Another perk is real-time weather forecasts and a recipe database. How about a refrigerator in Jadeite Green or Pink Lemonade? Big Chill’s retro refrigerators are almost designer-perfect, right down to the raised logo on the front. Samsung offers the Wireless ICE fridge with touch-screen LCD TV. Sub-Zero’s Pro 48 has 6 – yes, six – stainless steel compartments (3 freezer, three fridge). Stainless steel may soon be an oldie but goodie. The beauty of an oiled-bronze finish gives your kitchen an upscale sophistication or rustic country warmth. Jenn-Air just introduced it; predictions are it will be very popular. We keep saying we want transparency in business. Dacor took that to heart with its glass-front appliances, including larger-than-life 42-/48-inch refrigerators. Your home will truly be a castle with the Corner Fridge Company’s La Glacière. Heavy Oaken doors with bolts and locks adorn the exterior; inside are stainless steel walks/shelving and . . . meat hooks. 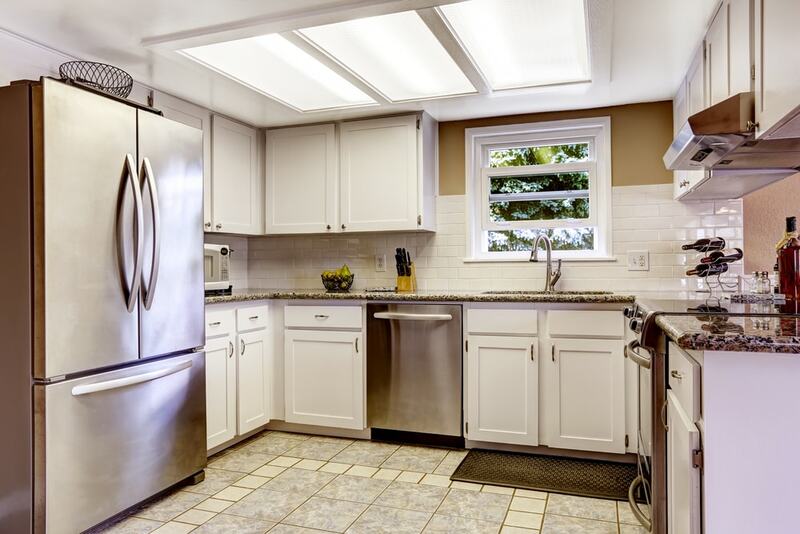 Kitchen remodeling offers the best ROI (return on investment) for homeowners, according to Angie’s List. “The most you’re likely to recoup from any (kitchen) project is 85 percent of what you spent,” said Cheryl Reed, a spokesperson for Angie’s List. Your price point should support what your neighborhood supports. For example, GE and LG are good name-brand refrigeration units, but if you live in a community where most homes have Sub-Zero or Wolf your home’s market value may be lowered with another brand of appliance. Sub-Zero refrigerators are an investment in your quality of life for each year of your refrigeration system’s lifespan. With regular care and maintenance, your Sub-Zero refrigerator can outlive every appliance in your home! …and their surrounding neighborhoods and communities. If you have any questions about maintenance and service for Sub-Zero and Wolf refrigeration appliances, call 424.227.5900 or contact Sub-Zero Experts today. We know about the best refrigeration options, and we like sharing our knowledge with our neighbors! My aunt is asking me to accompany her in buying a new French Door Fridge because their old fridge is not functioning anymore. She had no idea how to get the best deal for it. Since I am still too busy, I will just forward this information to her and let my sister come with her instead. Cheers!